Respect For The Past. Wisdom For The Present. Hope For The Future. The restlessness that marks the people of New England at the present time is of recent origin. In the early days of the colonies there was, so far as we can learn, but little moving either to the West or from the country into the cities. For many years the population of our country towns was maintained, if not steadily increased. Within the present century, or since the multiplication of manufacturing towns and the change in our domestic economy, with the increase of railroads, which require a numerous retinue of employees, and the infinite variety of mechanical pursuits, giving employment to vast numbers of young men, there has been a greater tendency to migrate, and the rural towns have suffered to a far greater extent than the large centers of population. 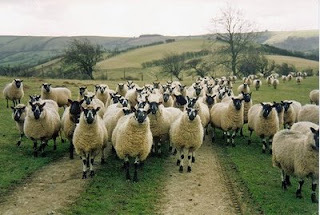 This flocking of active men to the larger towns and villages has led to the most disastrous consequences. All the professions and all the avenues to success through mercantile and mechanical pursuits are filled and choked up, as it were; the balance of the industries has been distributed, and the road to wealth without manual labor overcrowded. It is easy to see that this condition of things is all wrong. It leads to the worst results, and to untold individual misery. The true way to stop the consequences of this wrongful step, and to restore the lost balance, is to reoccupy the deserted farms, and to look more directly to mother earth for the means of supporting a large and increasing popluation. There seems now to be every reason for returning to the old order of things, and looking to the farm and to improved cultivation and management for restoring the country to prosperity and thrift. Farming, earnestly and intelligently followed, will pay as well or better than any other business, and insure an honorable livelihood and independence. 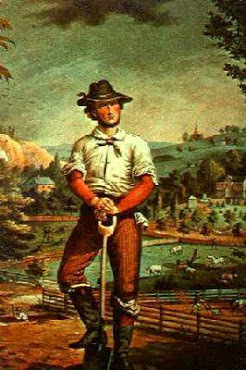 It offers every inducement to the industrious, the intelligent, the honest farmer’s son; and the failure of even of those who go to the farm from other pursuits is very rare. Farming indeed offers ample scope for the growth and development of all the elements of a noble, high-toned, and manly character. The above excerpt is poignant and full of wisdom. It is a call to the restoration of an Agrarian Nation. The call is is as important and valid today as it was in 1878. Every farmer wants a few choice varieties of squashes, even if he does not expect to raise any for sale. They are extremely handy to have round, not only at Thanksgiving time but later in the winter. They make the best of pies, and a little squash on the table with a boiled dish is never out of place. It is just one of those things that no one likes to do without, and so we must raise it. In 1848 Captain John Bridges brought two squashes to Marblehead from the West Indies. After cutting one up, he gave a piece to William Stanley that contained a few seeds in it. 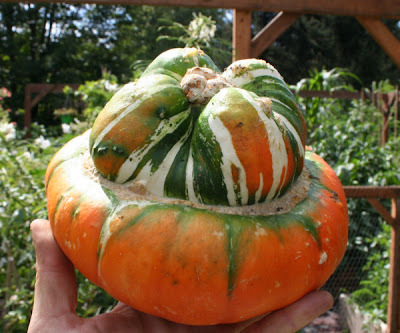 The quality of this squash was so fine that he took pains to plant the seed, and the result was the Hubbard squash, from which we have what is called the Marblehead squash, and some other varieties. 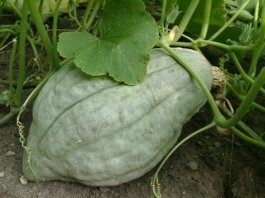 The Hubbard has now become one of the standard squashes of the country, and no garden appears to be complete without it. For cooking, it is not in its prime till December, and ought not to be eaten till then. For an earlier squash, the Turban is superior to the Hubbard. It is good even when half grown, and continues to be good up to December, when the Hubbard is approaching its prime condition. The one very properly follows the other, and a few Turbans are quite as necessary as a good many Hubbards. The Turban has been greatly improved within a few years. 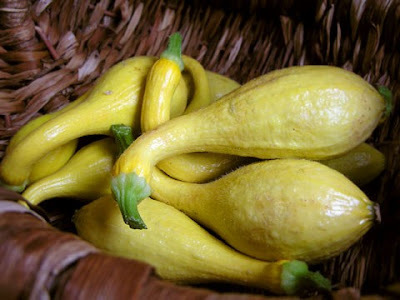 The Marrow squash is, on the whole, the most widely known and most generally cultivated of any, and must be regarded as one of the most valuable. The seed was introduced from abroad about forty years ago, and first grown in Marblehead. It has been changed in quality from its original type, become larger, probably from cross-fertilization, and lost some if its exquisitely fine grain and flavor, but is still the most popular of any for pies, and is more extensively sold than any other squash. The old-fashioned Crookneck is as good as it ever was, but the newer squashes are so much superior in quality that it is far less cultivated, and there is little or no demand for it in the market. 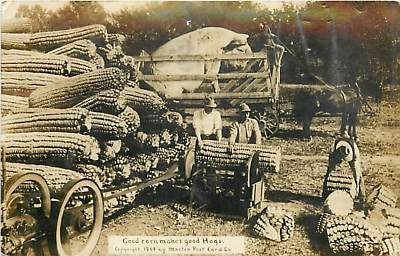 The land best suited to squashes may be described as good corn land, light, warm, and rich from thorough cultivation and manuring. Clean culture is, of course, essential to success, as the crop wants all the help the best of land can give it. The seed may be planted the middle of May. When the crop is harvested, it must be stored in a dry and well-ventilated room, and watched, to prevent the rot from spreading. I did not know, until I read this excerpt, that Hubbard squash should not be eaten until December. In the New England states it would have been harvested in September, before frost. My family grew big Blue Hubbards when I was a kid and I'll never forget my mother cooking one that was almost a year old. It was still perfectly good. We kept the squash in an unheated upstairs room of our drafty old farmhouse. I am partial to squash as a storage food because absolutely nothing is required to "put it up." Just take the very best specimens, clean them off, and put them in a dry place. I'm sure this feature appealed to the old-timers who, of course, had no electricity (and therefore no freezers). I'm sure that winter squashes of various kinds will once again be an important winter food staple in the post-industrial, agrarian era that we are now moving into. Marrow squash is something of a mystery to me. It might be Zucchini. Does anyone else have any insights into what Marrow squash is? I highlighted the phrase "clean culture" above. It is used often in the old agricultural writings. I believe that clean culture means the crop does not do well with weed competition. Vigilance with the hoe is required. The true secret of success on the farm is to save everything that is liable to run to waste. One of the greatest of all the leaks on most farms is that of manure. It drains away, or evaporates, or goes to waste in some way from want of careful looking after, and then we have to go into the market and buy artificial fertilizers, and pay forty or fifty dollars a ton, because we have not enough to use. But it is astonishing how much we can save from a flock of hens, if we will only take proper care of it. One of the best ways we have ever tried for economizing this strong and valuable substance under the hen roosts, almost equal to guano in its fertilizing qualities, was to take some old barrels as tight as may be, and if not perfectly tight, coat them inside with gas tar, and fill them, all but one, with fine, dry, road dust, and set them away in a dry place for winter use. If the road dust is full of clay, so much the better, as clay is one of the best absorbents. To use, put a thin layer of dust into the empty barrel, an inch or two at the bottom, and then a layer of hen manure, the scrapings under the hen roost, and then another layer of dust, and so on, from time to time, till the empty barrel is filled, and one of those filled at the outset is empty and ready for use. The exact thickness of the layers is not important, of course, but the thinner they are the more completely will the whole mass become impregnated; but there must be dust enough to absorb all the volatile parts of the manure, and hold them without giving off an offensive odor. For fifty hens five barrels will do. If it is not possible to collect sufficient finely pulverized road dust, some very fine soil or loam will do, or some charcoal dust mixed with dry sifted coal ashes, or fine muck, but the finely ground clay road dust is about the cleanest and best material to handle. In the spring the whole mass may be mixed and shoveled over, and it is astonishing to see what a valuable lot of the richest fertilizer has been collected and saved. The dust and all thoroughly mixed and incorporated, enables you to apply it evenly, and it is one of the best things to use in the garden, or upon melons, squashes, or any other plants that require a rich, stimulating manure. Try it and see. 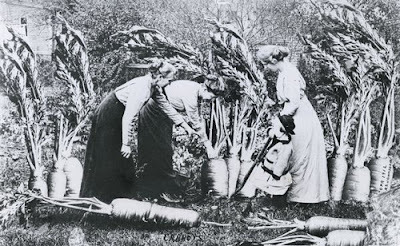 The farmers of New England should bear in mind that an enemy to the potato crop, more destructive and more too be dreaded than the fatal disease with which they are already familiar, is gradually, but surely approaching from the west. This insect, the ten-lined Doryphora, was first discovered in the Rocky Mountains, upon the wild species of the potato, and has worked its way eastward on the advance of civilization towards the west, till it has nearly overrun the Western States, and gained a foothold in some points of Western New York and Pennsylvania, making a progress on an average of about sixty miles a year. In the season of 1871 the falling off of the potato crop in the west as compared with the previous year was estimated as fully twenty percent in consequence of the ravages of this destructive beetle. In some states it was much more than that, being, in Illinois, thirty-five percent, in Michigan, thirty-four percent, and so on. In 1870, the northern column of this great army of invasion reached the borders of Canada, and gained a foothold some distance inland. In the spring of 1871, the beetles literally swarmed across the Detroit River, and crossed Lake Erie on ships, on boards, on chips, and shingles, or whatever else would afford them a passage, and in the course of the year they invaded the whole country between the St. Clair and the Niagara Rivers, and the islands in the western part of Lake Erie. They have not yet reached new England, probably, though reports were circulated last year that they had been observed in some points in Western Massachusetts, on the borders of New York. This was doubtless the Trilineata, an allied species, but an old, and comparatively harmless enemy, that was mistaken for the genuine Colorado beetle, as it was the year previous, when found in several parts of Worcester county, where it gave rise to the report that we had at last been reached by that greatest of all potato destroyers. The ravages of this beetle are very complete. It destroys the vines, attacking them soon after they appear above the surface of the ground. 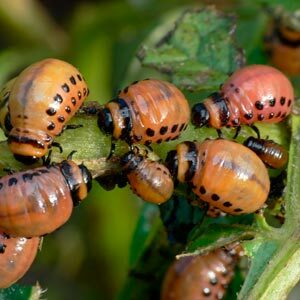 The mature beetle lays its eggs, from seven hundred to twelve hundred in number, on the young leaves of the potato, attaching them at the end to the under side of the leaf in clusters. 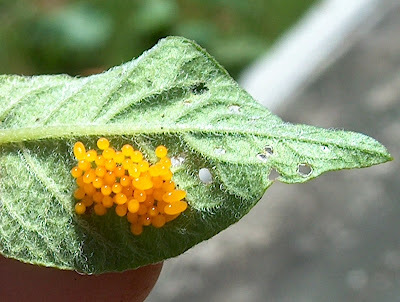 The larvae hatch out in a few days, and feed on the leaves fifteen to twenty days, when the burrow in the earth, and change into pupae, in which state they remain ten to twelve days, when they emerge as full-grown beetles, to lay more eggs for a second generation. There are three broods annually, the last remaining in the ground all winter, to come out as perfect beetles when the spring opens, and the potato comes up to supply the food and the place to deposit its eggs. As all its transformations occupy less than fifty days, it has been estimated that a single pair, allowed to increase unmolested, will produce over sixty millions in a single season. Though this destructive insect spreads, it does not leave a district where it has once gained a foothold. So far as now known, it holds the ground which it has once gained in spite of all efforts to eradicate it. 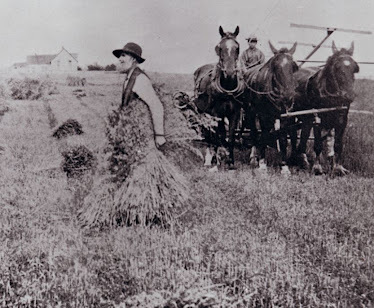 When it first appears in a new district, if every farmer would unite in the work, and pick it by hand, it could, perhaps, be kept down for a time. Paris green appears to be the only effective remedy, but many pieces have been kept clear by persistent and laborious hand picking. Anyone who has ever grown potatoes is familiar with this wicked little pest, but did you know the history of where it came from and how it became established throughout the United States? Now you do. The "fatal disease" mentioned at the beginning of this excerpt, that the farmers of New England were so familiar with, was the potato blight that hit Ireland beginning in 1845. In Ireland, it was known as The Great Famine. Approximately one million people died as a result between 1845 and 1852. Another million people fled Ireland, many of them settling in New England. Please note that this beetle was separated from the eastern parts of America by the vast prairies of the west. Only when pioneer farmers plowed up the prairies and planted potatoes did the beetle find favorable conditions for moving eastward. The excerpt mentions Paris Green. 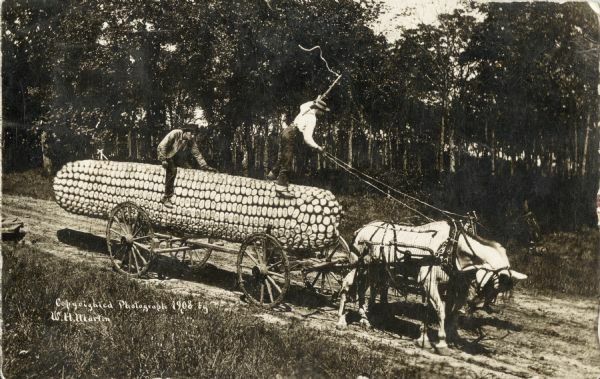 This chemical insecticide was one of the first to be used by American farmers. I'll have more to say about it in an upcoming excerpt here. 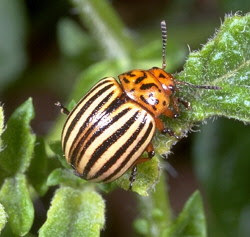 Personally, I deal with Colorado potato beetles by "persistent and laborious hand picking." But I only have a few rows of potatoes in my garden to care for. Every day (sometimes twice a day) I go down the row crushing beetles and smearing their clusters of orange eggs. For the family-scale gardener, hand picking works just fine. Watch your bees for it is about time to look out for swarms. This useful insect meets with less attention from us farmers, than it merits. Bees cost almost nothing at all, but a little care and a few hives, which almost any farmer can make. Some believe, and apparently on good grounds, that a garret, or any other unoccupied dark room will answer every purpose of a bee house; and Dr. Smith asserts, that bees in a garret, “with so much room before them and a few small orifices through which they may get into the open air, never would swarm until the whole garret was completely stored with comb.” But in order that you may manage your bees to the best advantage, you had better procure a little treatise on bees, written by Dr. Thatcher and Dr. Smith, which may be had of any of the booksellers. The Rev. Thomas P. Hunt, of Wyoming, Penn., has devised an amusing plan by which he says that he can at all times prevent a swarm of bees from leaving his premises. Before his stocks swarm, he collects a number of dead bees, and, stringing them with a needle and thread, as worms are strung for catching eels, he makes of them a ball about the size of an egg, leaving a few strands loose. 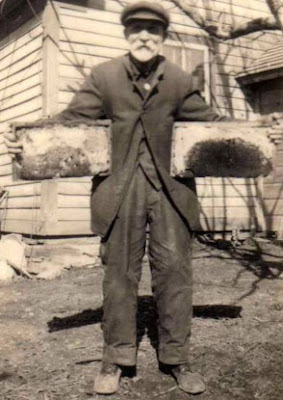 By carrying—fastened to a pole—this bee-bob about his apiary, when the bees are swarming, or by placing it in some central position, he invariably secures every swarm. Almost all the bees in a swarm are in a very peaceable mood, having filled themselves with honey before leaving the parent stock. I place a table opposite to and about four feet distant from the hive; on the table I spread a thick linen cloth, in the centre of the table I place a small, shallow breakfast plate, which I cover with a piece of wire gauze, to prevent the bees from coming in immediate contact with the chloroform. I now quickly and cautiously lift the hive from the board on which it is standing, set it down on the top of the table, keeping the plate in the centre, cover the hive closely up with cloths, and in twenty minutes or so, the bees are not only sound asleep, but contrary to what I have seen when they are suffocated with sulphur, not one is left among the combs; the whole of them are lying helpless on the table. You now remove what honey you think fit, replace the hive in its old stand, and the bees, as they recover, will return to their home. A bright, calm, sunny day is the best; and you should commence your operations in the morning before many bees are abroad. We had thought that there might be some articles of domestic consumption that would escape adulteration. But in view of recent developments we are inclined to believe that the ingenuity of man is unlimited in this direction. Prof. A. J. Cook, of the Michigan Agricultural College, an acknowledged leader in all that relates to agricultural interests, has dispelled the pleasing delusion that honey in the comb, evidently put there by the busy bee themselves, and covered by their skill, is certain to be pure. He shows plainly that it is the practice in some quarters to feed the insects on glucose, which they store like the genuine honey, and cover in the same way. This disreputable practice has already been carried so far as to seriously injure our reputation abroad, and injuriously affect our foreign markets. The British authorities at Liverpool, not long since, seized a large cargo of comb honey shipped from new York, on account of adulteration. This glucose is an inferior sort of sugar made from starch through the agency of sulphuric acid, and liable to be contaminated with poisonous substances. Commercial sulphuric acid usually contains arsenic, lead, and other mineral poisons, and, that these may be left in the glucose has been sufficiently proved by chemical analysis. Glucose has for a long time been used to considerable extent in adultering cane sugars, and much of the sugar we use in our families will be found, on examination to contain it in larger or smaller quantities. When the consumers inquire more carefully into the character of the articles purchased, and insist upon purity rather than cheapness, these rascalities will cease. The remedy lies with the people. I find it most interesting that the nascent industrial food system in this country was adulterating food as far back as 1880. Contrary to the almanac editor's assertion, such "rascalities" did not cease. They just got worse. Nowadays practically every food offered by the industrial food outlets (supermarkets) is adulterated in some manner. 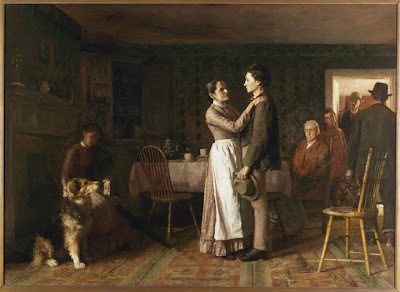 Speaking of which, in a future excerpt here you'll learn about the introduction of oleomargarine and the adulteration of butter in the latter 1800s. That was a big deal at the time. For those who don't know, it was once common for beekeepers to harvest honey from their hives by first gassing the bee colony with sulphur. This killed all the bees. In 1852 L.L. 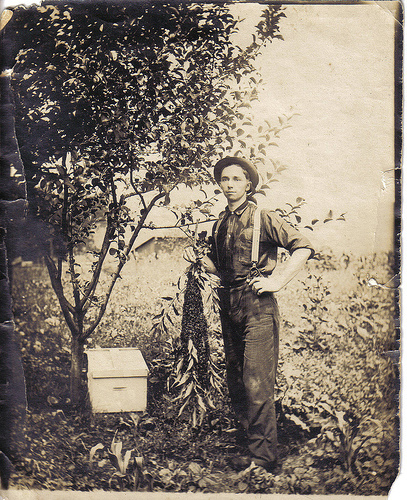 Langstroth, a Congregational minister in Pennsylvania, developed the hive style that is commonly known today. It allows frames of honey to be removed and harvested without destroying the hive. 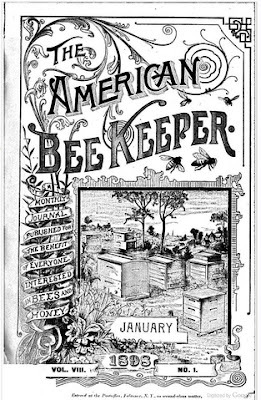 You can read a pretty good article about the history of beekeeping in America At This Link. 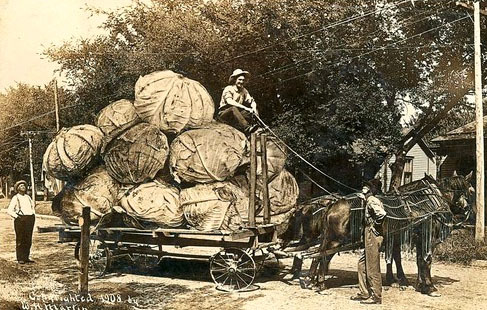 How did people in rural New England live and work before electricity and tractors arrived on the scene? 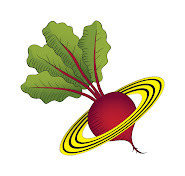 This web site will seek to answer that question by looking at the old agricultural writings of 1825 to 1900. 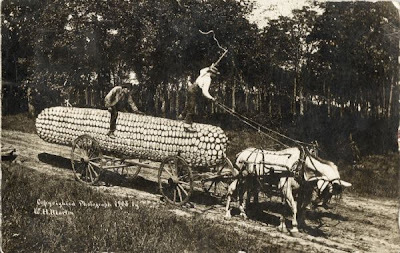 Join me on a historical journey of discovery into America's agrarian past. We will get advice from the old-timers about the art of farming, gardening, and living a good life. Like archeologists studying an ancient culture, we will look at excerpts from original-source documents (primarily almanacs and agricultural journals) to better understand how people thought and lived their lives in pre-grid America. Weekly postings here have been suspended. Enjoy the great information chronicled in the archives of this web site. 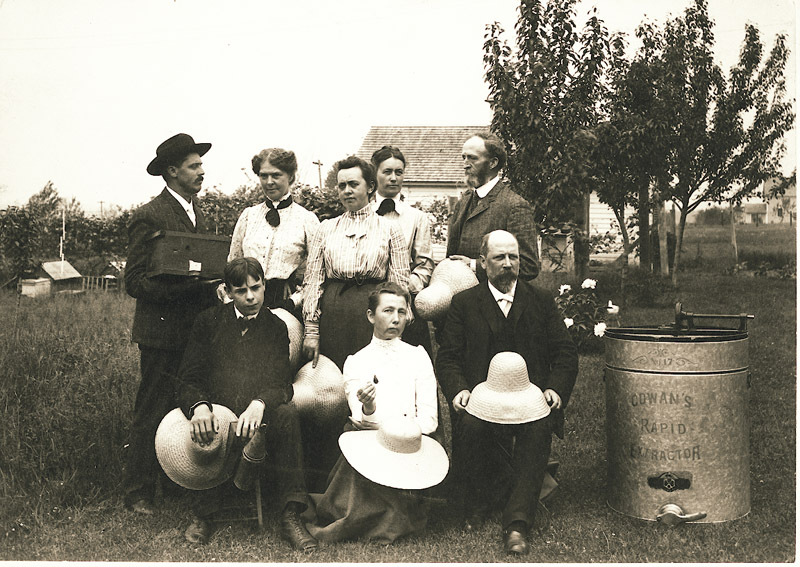 And please stop by my new Agriphemera web site for more old-time agrarian insights. The future is written in the past. That's what we are here at Agrarian Nation. We're digging for clues in the old agricultural writings. We're learning about how life once was (and how it may be again)! 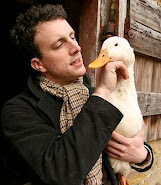 This man is the official historian of Agrarian Nation. Click his picture to read about his "Boom Hypothesis of Modern History." It is the most insightful and pertinent historical analysis of our times that you will ever read. Webb's Boom Hypothesis explains a lot about why we are having the problems we are having in the world today.... and what lies ahead. "Populations must increase rapidly, more rapidly than in former times, and ere long the most valuable of arts will be the art of deriving a comfortable subsistence from the smallest area of soil. No community whose members possess this art can ever be the victim of oppression in any of its forms. Such community will be alike independent of crowned kings, money kings and land kings." "The class of citizens who provide at once their own food and raiment, may be viewed as the most truly independent. It follows, the greater the proportion of this class to the whole society, the more free, the more independent, and the more happy must be the society itself." "From the beginning it was always possible to find farmers who were intuitively suspicious of the industrialization of agriculture. Perhaps they objected to the increased authority of suppliers and experts. Perhaps they felt the discord between machinery and living creatures. Perhaps they had a rational fear of toxic chemicals. Perhaps they disliked paying cash for energy and fertility that they had previously received in kind from their farms and their good work. Among at least a few, for whatever reasons, there was a persistent distrust." One Year on a 1620 Farm in England. This field, which when the owner took it over eight years previously was barren, now was bursting with life. As I passed alongside of it on the cart, getting a good view of it as a whole, I often thought of the latent power that lay there till released and channelled by man. Nothing to see on that former dry and barren field, save tangled yellowish grass: yet holding within it the force to throw upward what I now beheld. A farmer is a liberator of the energy in the earth, ceaselessly creating what is good, and adding on a vast scale to the beauty of the world. "Agriculture is the most healthful, most useful, and most noble employment of man." Grant Gibbs is a small-scale, sustainable farmer out in Washington state. He's a smart guy. Click the picture to learn about Grant Gibbs and how he farms. 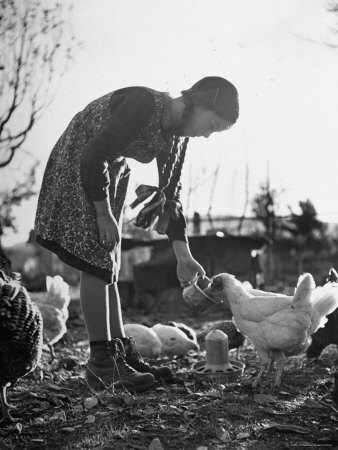 "Through World War II, farm life in my region (and, I think, nearly everywhere) rested solidly upon the garden, dairy, poultry flock, and meat animals that fed the farm’s family. Especially in hard times farm families, and their farms, survived by means of their subsistence economy. The industrial program, on the contrary, suggested that it was “uneconomic” for a farm family to produce its own food; the effort and the land would be better applied to commercial production. The result is utterly strange in human experience: farm families that buy everything they eat at the store." "There seem to be but three ways for a nation to acquire wealth. The first is by war... This is robbery. The second by commerce, which is generally cheating. The third by agriculture, the only honest way, wherein man receives a real increase of the seed thrown into the ground, in a kind of continual miracle, wrought by the hand of God in his favour, as a reward for his innocent life and his virtuous industry." "…the American countryside is now in the early stages of ferment. Old dreams and old ways, mixed with new tools, techniques, and opportunities, have given fresh life to the agrarian spirit. A way of life preserved through the twentieth century by sectarian religious groups such as the Old Order Amish has found new energy and new recruits in the opening years of the third Millennium." A love for the soil and all the pursuits of outdoor life is one of the most healthful signs in a people. Our broad and diversified land affords abundant opportunity for the gratification of every rural taste, and those who form such tastes will never complain that life is losing its zest. Other pleasures pall with time and are satiated. We outgrow them. But every spring is a new revelation, every summer a fresh, original chapter of experience, and every autumn a fruition of hopes as well as of seeds and buds. Nothing can conduce more to happiness and prosperity than multitudes of rural homes. In such abodes you will not find Socialists, Nihilists, and other hare-brained reformers who seek to improve the world by ignoring nature and common sense. Possession of the soil makes a man conservative, while he, at the same time, is conserved. History, culture and current events come together in this compelling book by agrarian iconoclast, Michael Bunker. 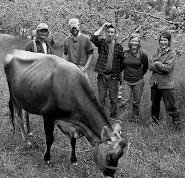 Surviving Off Off-Grid dovetails nicely with Agrarian Nation because it speaks of rediscovering the pre-grid ways of life and applying them to the way we live now. I consider this book a pertinent companion book to Agrarian Nation. Check out the reviews at Amazon.com and get yourself a copy.